The just-released March, 2012 Hollywood issue of Vanity Fair magazine features a section on diets of Hollywood stars from the 1920s until today. You will recall that in the late 1920s, Jeanette was underweight and visited a New Jersey live-in treatment center where she did nothing but drink tons of milk to GAIN weight. Other sources told me in passing that during the 1930s, more sinister diet secrets of the stars could include pills (such as was prescribed to teenaged Judy Garland), swallowed tapeworms and even heroin. Jeanette’s “Ginger Ale and Ice Cream Diet” seems much more delightful than any of the above! Thanks, Vanity Fair, for mentioning her!. My own research showed that around 1960-61 Jeanette MacDonald was seeing an oncologist at UCLA Medical Center for a benign brain tumor. Yes, she was treated by a cancer doctor but no, one of the employees there stated that the tumor was benign. 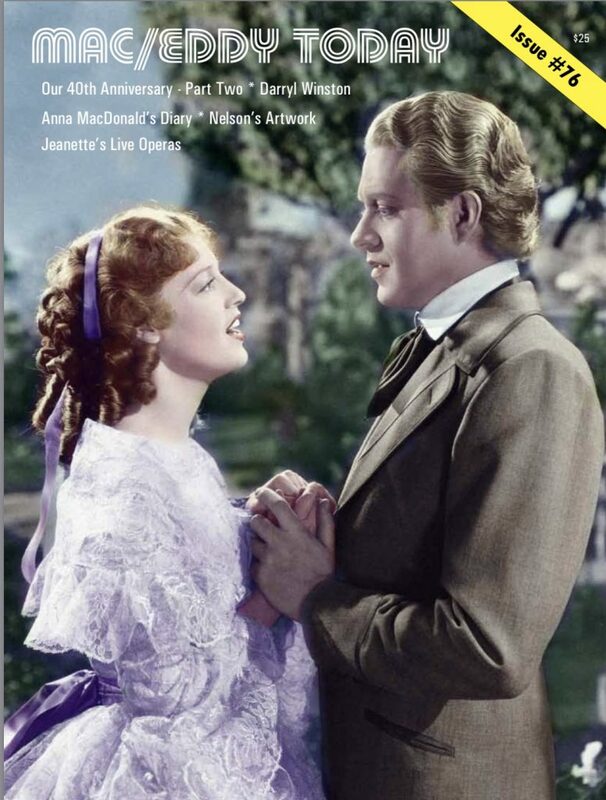 In the book that I annotated, Jeanette MacDonald Autobiography: The Lost Manuscript, I present written documentation by Fredda Dudley Balling, Jeanette’s collaborator on her unpublished book. In her letters, Ms. Balling explained that Jeanette was so ill it was feared she might not live long enough to complete work on the book. However, even if the manuscript was never polished up to completion, Jeanette did not die in 1960 and in fact lived 5 years more. Her health battles were with a longtime heart condition that resulted in an arterial transplant – a new and novel treatment by Dr. Michael DeBakey. See below for the article excerpt. The late songwriter Hugh Martin wrote “Have Yourself a Merry Little Christmas” for Judy Garland’s 1944 movie Meet Me in St. Louis, along with dozens of other songs for MGM and Broadway musicals. A new CD chronicling his seven decades in musical theater was released earlier this month. 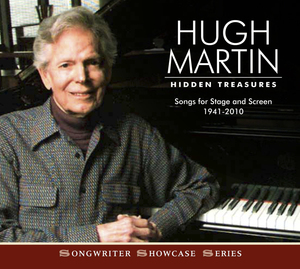 Hugh Martin: Hidden Treasures features mostly demo recordings and rarities from Martin’s vast catalog of tunes, from a 1941 selection from the musical comedy Best Foot Forward to a 1961 song written for the unfinished musical Here Comes the Dreamers, which was never produced after lead actress Jeanette MacDonald was diagnosed with cancer. The CD also comes with an 88-page booklet chronicling Martin’s career, with essays by Stephen Sondheim, Sheldon Harnick and Michael Feinstein. Martin was heavily involved in the creation of the CD in the months leading up to his death in March 2011. He worked closely with producers Bill Rudman and Ken Bloom, both of whom join Terry Gross on Fresh Air for a discussion of Martin’s songs and his lengthy career in show business.